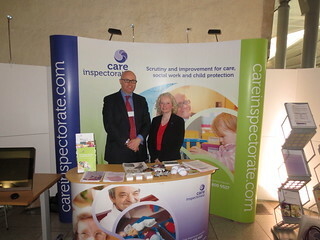 Recently I met with the Care Inspectorate in the Scottish Parliament to discuss care issues across the Kingdom. The Inspectorate is the official body responsible for inspecting standards of care in Scotland. Over 14,000 care services are registered with the Care Inspectorate, including care homes, childminders, day care centres and support services which includes care at home. The inspection regime looks at quality of care and support, staffing and management and leadership. Recent figures from the Inspectorate have found that across Scotland the number of care homes with unsatisfactory or weak grades has increased. However, services in Fife have improved, with now over 95% achieving grades of adequate or better. I have backed plans to reform the private rented sector in Scotland following the SNP failing to support Labour’s amendments at the committee stage of the Housing (Scotland) Bill. Scottish Labour is proposing amendments to the bill which is currently making its way through Parliament that will cap rent rises. Such a move would impact on approximately 17,000 households in Fife as 10% of housing in the region is privately rented. The amendments also propose making 3 years the market standard for renting tenure in Scotland, offering renters in Fife peace of mind in their homes. 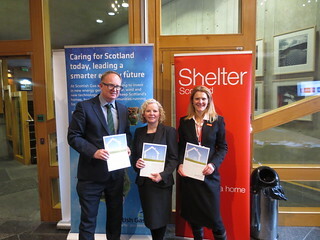 The other week in Parliament I held a debate in the Scottish Parliament on the issue of compulsory microchipping for dogs after a recent poll from YouGov and Dogs trust found that 82% of Scottish adults agree with it’s introduction. Recently I met with local housing association Fife Housing along with the Deputy Leader of Fife Council, David Ross to discuss the effects of the Bedroom Tax on the Kingdom. According to Fife Housing Association one in five of their tenants will be affected by the Bedroom Tax within the region. The Bedroom Tax is an issue for many across the Kingdom and I was pleased to meet with Fife Housing and Councillor David Ross to raise and discuss the concerns I have. I am aware that Fife Housing is taking steps to train their staff to deal with the difficult situation but they will be faced with real challenges as a result. An analysis of Fife Housing’s housing stock shows that the Association holds only 82 one bed properties compared to 2,364 properties with two beds or more. These statistics show that there simply isn’t enough 1 bedroom properties to accommodate those that would want to downsize. This will result in people being penalised for living in a two bedroom flat despite not having any alternative as there is no smaller house available. The people of Fife will feel let down by both Westminster and Holyrood on this issue. The UK Government should not be introducing such a policy and the Scottish Government need to be doing more to stop it adversely impacting residents across the country. We are calling on the Scottish Government to introduce emergency legislation to avoid evictions due to the bedroom tax and provide funding for Local Authorities and housing associations to meet the challenges they are facing. Unless the Scottish Government takes action to mitigate the effects of the bedroom tax we could see vulnerable families at risk of losing their homes. This week in Parliament the Scottish Government had the chance to protect Scotland’s most vulnerable communities from socially divisive Coalition policies but simply failed to take any action. In Parliament the Scottish Government voted against a Labour amendment to mitigate the effect of the Bedroom Tax on the people of Scotland. A Labour amendment to the Local Government Finance Order called on the Scottish Government to mitigate the impact of the Bedroom Tax on Scotland’s most vulnerable and to respond positively to COSLA’s call to fully fund the replacement for council tax benefit as has happened at the National Assembly in Wales. Labour asked the SNP Government to work with us in helping people through these tough times and by enabling local authorities to get the financial support they need. The amendment, however, was defeated by 81 votes to 35 after the Conservatives and Liberal Democrats joined the SNP in voting against. Instead of promising action in a separate Scotland the SNP should be taking action now and standing up for the people of Scotland. The underlying problem is that there is simply a shortage of affordable housing across Scotland including here in Fife. According to Fife Housing Association one in five of their tenants will be affected by the Bedroom Tax. An analysis of their housing stock shows that the Association holds only 82 1 bed properties compared to 2,364 properties with 2 beds or more. Fife Housing Association statistics show that their simply isn’t enough 1 bedroom properties to accommodate those that would want to downsize and unless the Scottish Government takes action we could see vulnerable families at risk of losing their homes.